Have you heard how the SAP Transformation Navigator has evolved over the last year? It has helped customers analyze their current implementation, and then provided them with company-specific guidance. It’s helped assemble the best possible solution portfolio to realize business benefits from a future SAP S/4HANA-centric environment. SAPPHIRE NOW 2018 marked the SAP Transformation Navigator’s one-year birthday. And, our customers and partners came out to celebrate: the SAP Transformation Navigator’s topic station was the 2nd most visited booth of the whole conference, with over 1200 visitors. Experts hosted over 300 one-on-one concept and deep-dive sessions; and that’s in addition to the various other presentations and demonstrations. Customer are already sharing the benefits they have gained from using the SAP Transformation Navigator today. Below are a few examples from three companies in three different industries – utilities, higher education, and consumer products. The Snohomish County Public Utility District has been using the tool to help map their way forward and to collaborate on best practices with other utilities as well. They found the value feature of the tool helped facilitate conversations with the business on what is most important, so that the business could prioritize its goals. The University of Mississippi shared how intuitive they found the tool. They also commented that the tool can be used iteratively, which can lead to insightful analyses. Identifying value was a theme repeated by Dumi, a consumer product company, citing that drilling down into the value drivers reveals opportunities for improvements. This can help make the business case for new projects moving forward. 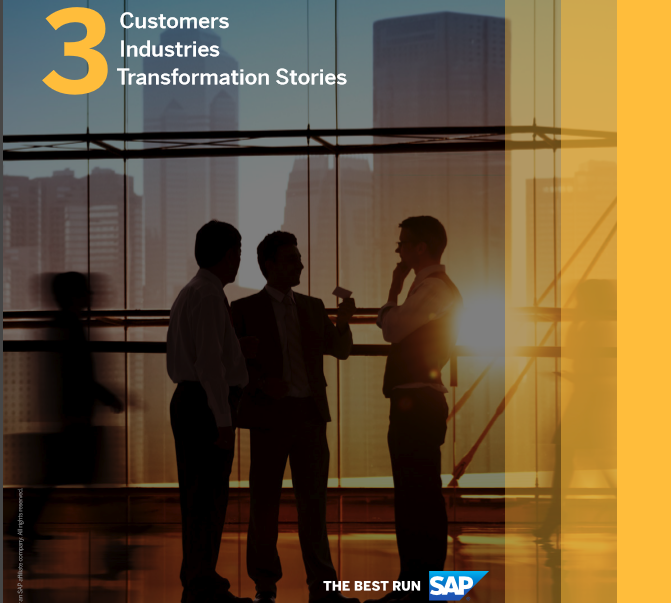 To read more about these stories and the different ways that customers have used the SAP Transformation Navigator, visit this page. Business Capability Model: Updated modelling and descriptions will better identify business processes and support SAP products and solutions, so users can easily map their evolving business needs. If you weren’t able to meet with an SAP Transformation Navigator expert at SAPPHIRE NOW, you will still have the opportunity to do so at one of the global SAP TechEd conferences (Las Vegas, Barcelona, Bangalore) this fall. Stay tuned for more details. Visit https://support.sap.com/stn for the latest information or contact us directly to find out how the SAP Transformation Navigator can help pave the way to an intelligent enterprise for your company.